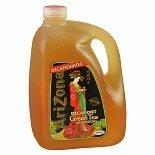 Shop Arizona Green Tea With Ginseng and Honey (23 oz. )23 oz. 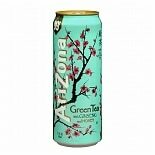 Shop Arizona Green Tea Decaf-Diet (128 oz. )128 oz. Shop Arizona Zero Arnold Palmer Half & Half Iced Tea & Lemonade (128 oz. )128 oz.